This summer we're loving the awesome Gold Coast beaches and waterways! It's been wonderful to get out and about, enjoying our beautiful surroundings! Going to the actual beach - where the waves are rolling in, isn't the safest option for us with 4 little ones to keep an eye on at all times. (Miss 5 is a good swimmer and stays close, and mostly listens well, thankfully. Mr 3 thinks he's an Iron Man and wants to escape out of our reach and go off and swim/ride the waves on his own. 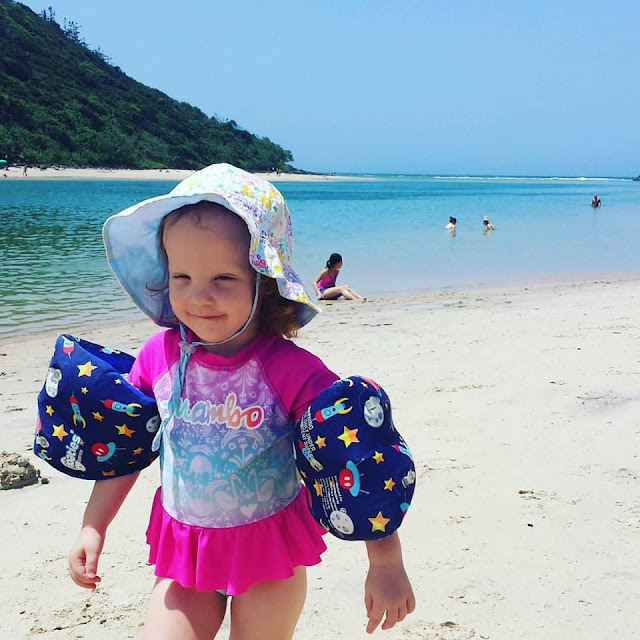 So... we prefer to go to rockpools/ quiet beaches and Tallebudgera Creek. Depending on what time of day you arrive, it can be a challenge to score a car park, but we've been pretty lucky most visits. I love that you can set up in the shade/apply sun cream and then only a short trip across the sand to set up on the shore. It's a lovely spot to hang out, make sandcastles and frolic in the water with inflatable toys. It's patrolled and really kid-friendly. And, at the end of your visit, the toilets and showers are convenient. And, there's a play park to entertain the kids (though I would love it even more if it was fenced). 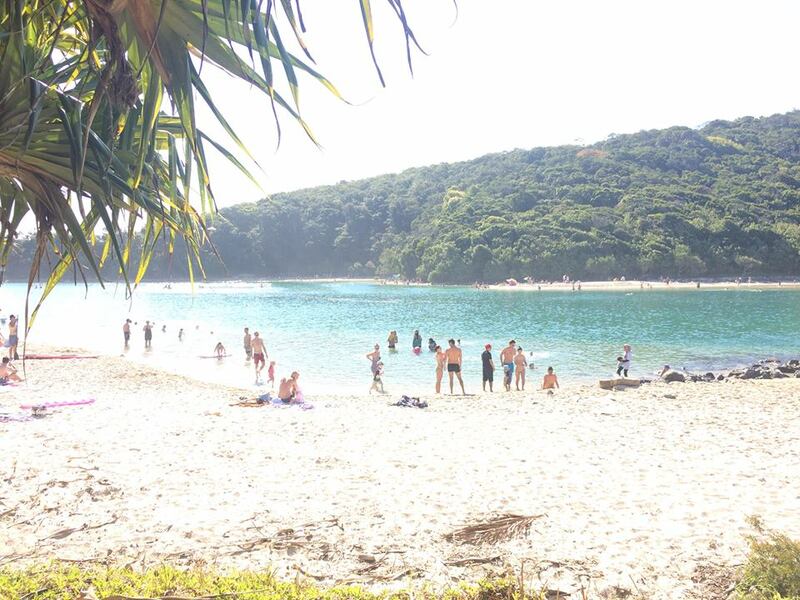 Tallebudgera Creek, Gold Coast, Queensland. As well as being constantly on patrol to monitor the safety of our 4 little ones, hubby and I are also super vigilant when it comes to 'Slip, Slop, Slap' (Slip on a shirt, slop on sunscreen and slap on a hat). 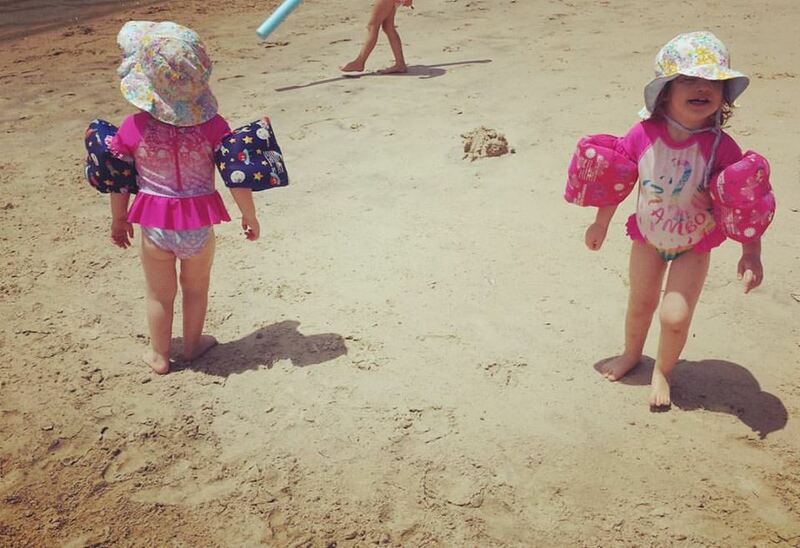 Or little ones have fair skin so we are constantly lathering up with our fav Banana Boat sunscreen. For those with kids, y'know how when it's time to apply sunscreen, the little ones usually wriggle around like an Octopus (well mine do most of the time, anyway)? Well the Banana Boat clear spray, pictured below, is such a handy must-have and essential for suncream top-ups throughout the day! The clear spray is a convenient, clear spray that requires no rubbing and is easy to apply. Up to 4 hours water resistant, the Kids Clear Spray provides a non-greasy broad spectrum for UVA and UVB rays and is fragrance-free. I also love the roll-on cream for the twins' faces! We've always had a great experience when using Banana Boat - no cases of sun burn for our little people, thank goodness. Touch wood. What do you do to slip, slop, slap? Are your kids sun safe? 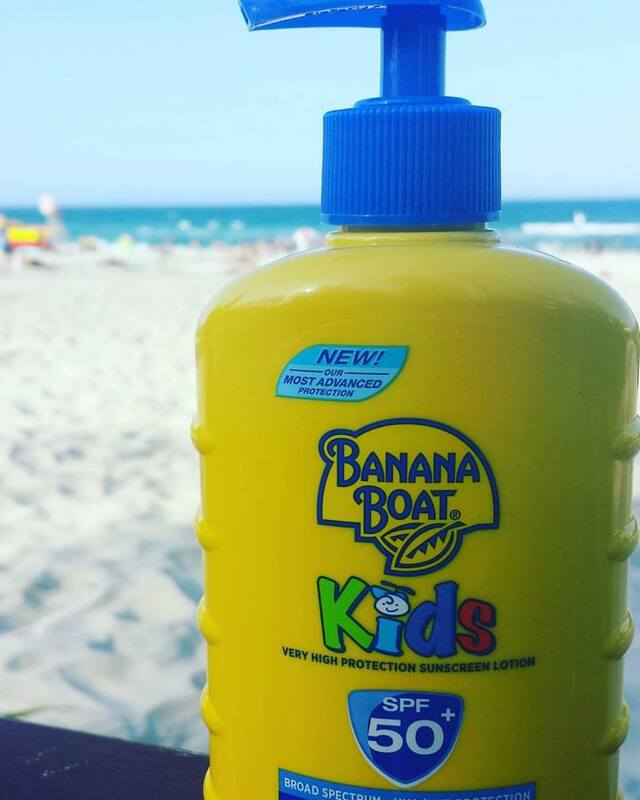 Disclaimer: Gold Coast Mum received Banana Boat product for review purposes. All opinions are my own. This photo is the talk of the town!